We try to have everything covered in order to provide everything needed for an optimal daycare environment. Here some of the things we cover for our preschool kids. We provide morning tea which is a selection of fresh fruit accompanied by either fresh baking, toast, sandwiches, or popcorn. Four Year Olds is a programme run daily for all our four year old children. This is a specialised programme, run by two teachers and has a duration of about 20 minutes, after morning tea. During this time the children are extended and challenged, not only to help prepare them for school, but they will also use and develop skills which will help them to prepare for life and learning in the 21st century. 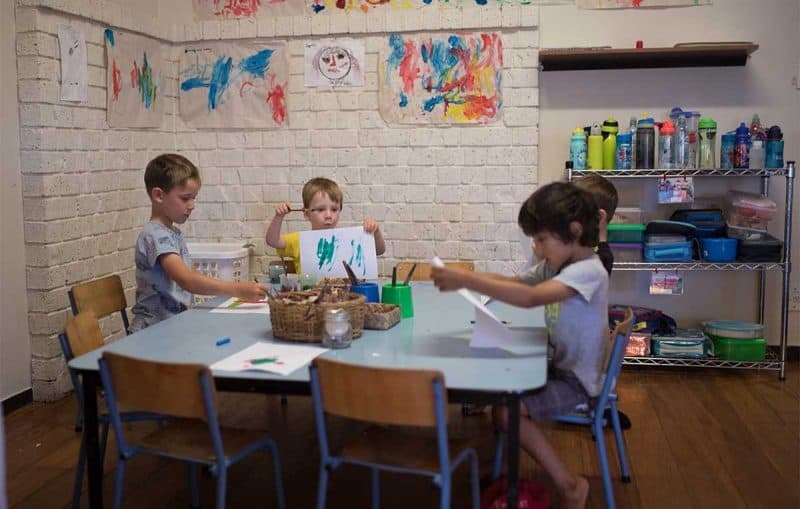 Some activities may include art work, creating drama productions, letter and letter sound recognition, number/counting games, project work, listening, physical activities, following instructions, talking in a group and confidence building etc. Michelle assists the children with their sleep routines each day. This provides the children with continuity and consistency. In the event of Michelle being unavailable Jess or Majella will assist children with their sleep routine. In the sleep room we have a CD playing continuously with calm, relaxing music. We will follow your child’s individual sleep routine. Lilliput provides a sunhat for each child with their name embroidered on the front. We will apply sun block to the children at 10am and again at 2pm each day. Let us know if your child is allergic to certain brands of sun block. We currently have children with us who have an allergy to peanuts, walnuts, pecan nuts, hazelnuts, macadamia nuts and pistachio nuts. Please refrain from sending these nuts or food items containing these nuts in your child’s lunch box. Thank you for your co-operation. As your child transitions into this new environment it is Michelle’s role to make their transition as smooth and empowering as possible. Michelle will be your child’s key teacher, where she is responsible for their nappy changes, toilet training, bottles, lunches and sleeping routines. Having a key teacher is important for your child as well as you the parents / whānau, as it helps to build strong bonds as well as reciprocal and responsive relationships. As your child’s key teacher, Michelle will help your child feel confident, comfortable and secure in this new and busy environment. Starting at a centre can be daunting for parents, It is important that parents have the opportunity to develop a trusting relationship with Michelle, where you feel confident discussing your child’s needs, wishes and aspirations and that these are constantly being met.